Barbie and Derrick admitted that they can relate to their characters. They've worked with each other for years, and at some point had an “almost” love story when Derrick courted Barbie. 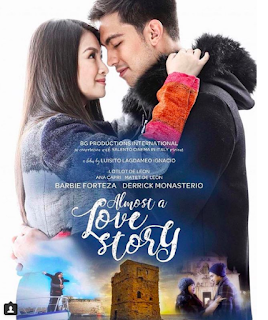 The cast of 'Almost a Love Story' teased their fans with their official photos. The romantic movie was shot in the Philippines and in Italy and will be shown on April 11 in cinemas nationwide. Take a sneak peek into Barbie Forteza and Derrick Monasterio's most kilig movie to date.